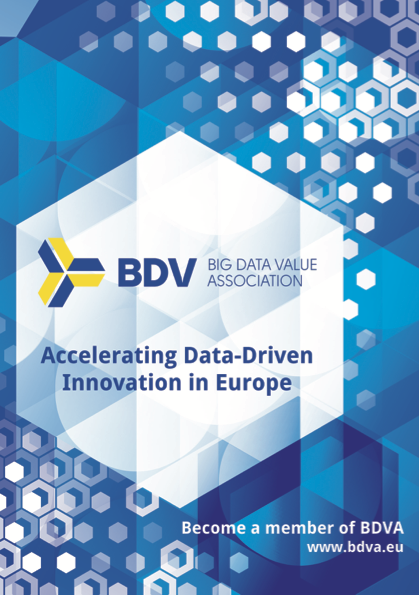 This Strategic Research and Innovation Agenda (SRIA) defines the overall goals, main technical and nontechnical priorities, and a research and innovation roadmap for the European Public Private Partnership (PPP) on Big Data Value. The SRIA explains the strategic importance of Big Data, describes the Data Value Chain and the central role of Ecosystems, details a vision for Big Data Value in Europe in 2020, and sets out the objectives and goals to be accomplished by the PPP within the European research and innovation landscape of Horizon 2020 and at national and regional levels. I-Spaces are cross-organisation cross-sector interdisciplinary Innovation Spaces to anchor targeted research and innovation projects. They offer secure accelerator-style environments for experiments for private data and open data, bringing technology and application development together. I-Spaces will act as incubators for new businesses and the development of skills, competence and best practices. Lighthouse projects are large-scale data-driven innovation and demonstration projects that will create superior visibility, awareness and impact. Technical projects: These will take up specific Big Data issues addressing targeted aspects of the technical priorities.. The four mechanisms will foster the development of the European data ecosystem in three distinct phases by establishing an innovation ecosystem, pioneering disruptive big data value solutions, and setting long-term ecosystem enablers. The strategic and specific goals, which together will ensure Europe’s leading role in the data-driven world, are supported by key specific technical and non-technical priorities. The complementary non-technical priorities are skills development, business models and ecosystems; policy, regulation and standardization; and social perceptions and societal implications. Find the latest official version of the BDV SRIA, version 4.0, here.